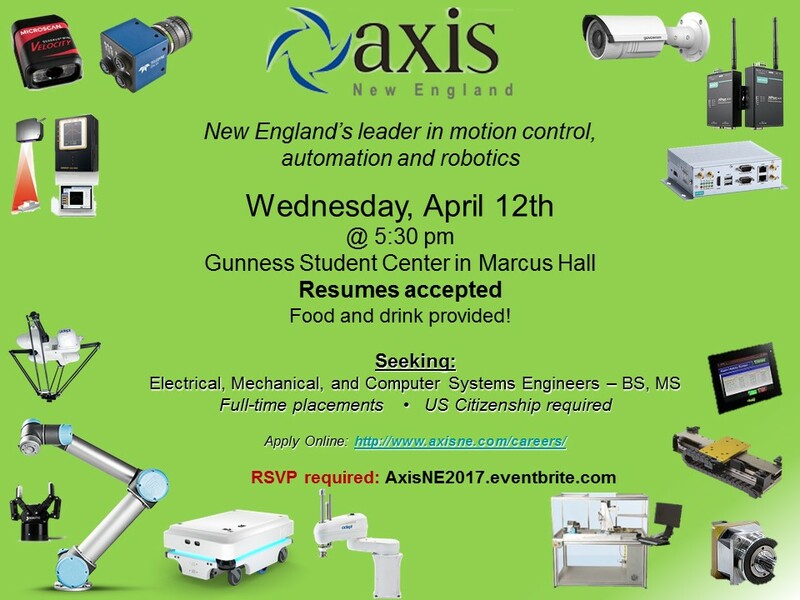 Axis New England - a leader in motion controls, automation & robotics- is recruiting at UMass! See a their robotics/automation products in action and get an overview of what an Applications Engineer does and the interesting technical challenges their Sales Engineers work on! Bring your resume! Pizza provided.